Colin Dickey is on the trail of America's ghosts. Crammed into old houses and hotels, abandoned prisons and empty hospitals, the spirits that linger continue to capture our collective imagination, but why? 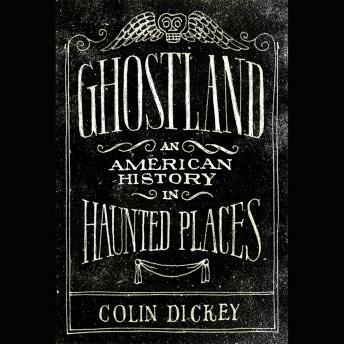 His own fascination piqued by a house hunt in Los Angeles that revealed derelict foreclosures and 'zombie homes,' Dickey embarks on a journey across the continental United States to decode and unpack the American history repressed in our most famous haunted places. Some have established reputations as 'the most haunted mansion in America,' or 'the most haunted prison'; others, like the haunted Indian burial grounds in West Virginia, evoke memories from the past our collective nation tries to forget. Very interesting! Highly recommended in audiobook format!